The Spot the Mistakes Template is a great way to engage your Participants. The Spot the Mistakes Template is a great way to engage your Participants. While this template works well to help identify problems or hazards, you don’t necessarily need a series of mistakes to create an effective challenge – you can also ask your Participants to spot positive elements in an image. 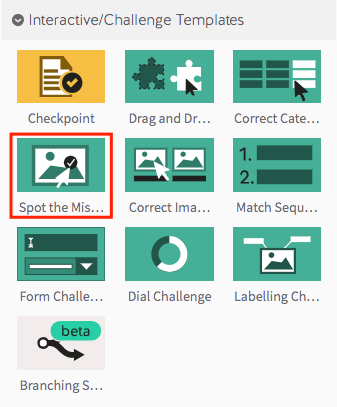 Step 1: Select the Spot the Mistakes Template from the ‘Interactive/Challenge Templates’ panel. Step 2: Drag your Spot the Mistakes Template into the Lesson Pathway. Note: You can change the Tip Width, Tip Font Size, and Spot Radius of your Hotspots. Tip Width adjusts the horizontal size of the popup text area, Tip Font Size adjusts the size of all text, and Spot Radius adjusts the radius of your hotspot marks. 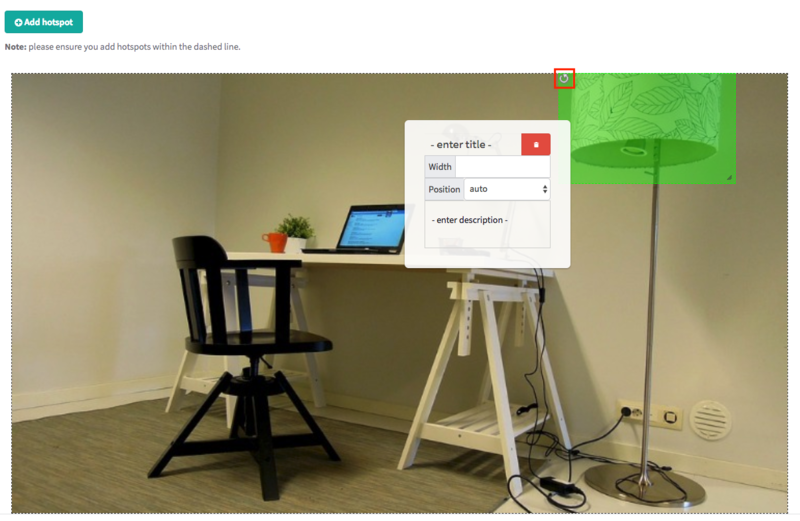 Step 6: Upload an image using the ‘Add Image’ button. Image Tips: We suggest using a full sized image for this template. Try a size of 1170 x 550 pixels. 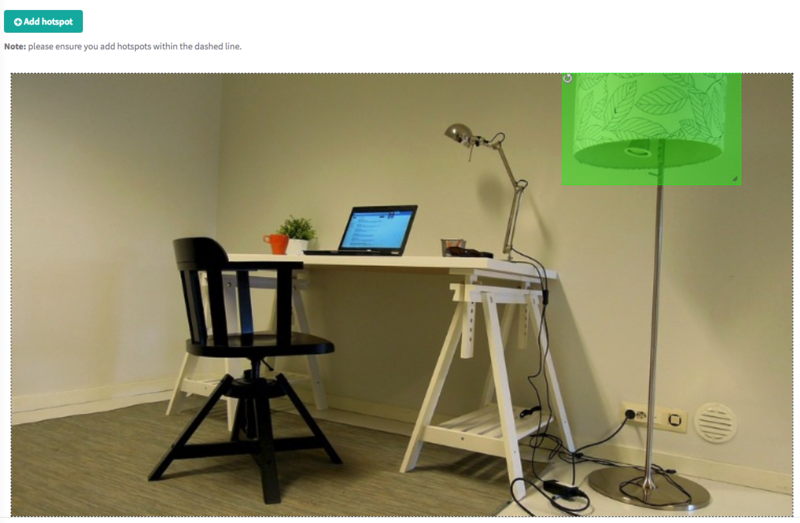 Step 7: To start adding hotspots to your image, select the green ‘Add Hotspot’ button. Step 8: Use your mouse to drag and position your new hotspot – it should appear as a green square. You can change the size of the square by clicking and dragging from its bottom right corner. When it’s in place, give your hotspot a title and description. You can also adjust the width and position of your hotspot, with position referring to which way the hotspot will pop up. For example, if you select ‘right’, your hotspot’s text will appear to the right of its marker when your Participant rolls over it with their mouse. Note: You can also rotate your hotspot’s position by clicking and dragging on the circular arrow at its top right corner. Note: To add additional hotspots, simply repeat the process. Step 9: To preview your interactive template, click on the ‘preview’ icon.